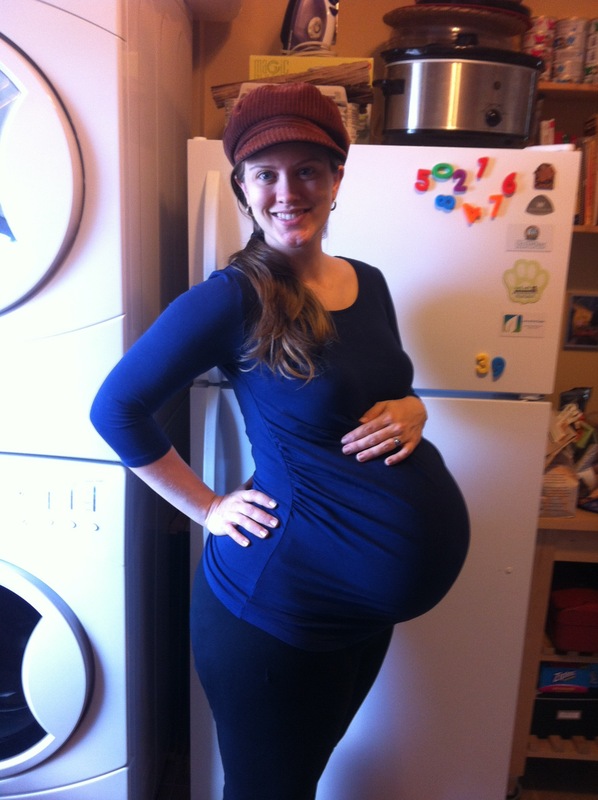 This entry was posted on Monday, April 9th, 2012 at 10:21 am and is filed under preggie. You can follow any responses to this entry through the RSS 2.0 feed. You can leave a response, or trackback from your own site. Your beautiful belly looks about as big as mine was! Wonder how big that babe will be 🙂 oh and they still get daily hiccups after they’re out 😉 love you! Hiccups are awesome. I’m looking forward to watching them instead of feeling them! 🙂 Love you!